A Beautiful Oak Frame Venue, Overlooking the Cheshire Countryside. Oak Tree of Peover is a unique contemporary venue is set in the heart of Cheshire surrounded by stunning countryside views. Oak beams and lots of natural light makes this venue fresh and bright whilst subtle lighting in the evening gives it a magical, romantic feel. Guests may take drinks in the bar area or on the surrounding terrace. 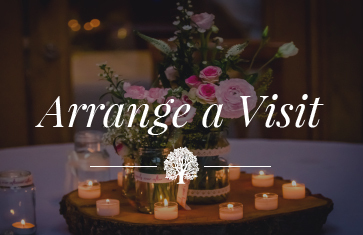 Oak Tree of Peover is impressive with or without the use of extra decorations, however the building is so versatile it looks equally stunning dressed in themes from vintage and shabby chic to traditional. We have a wonderful team of handpicked local suppliers on our books, many who have worked alongside them for years and who are fantastic at what they do within the wedding world from caterers, venue dressers, photographers to local accommodation. We are proud to have been nominated for the 2015 Wedding Industry awards for Best Countryside Venue North West, and hope to continue making each and every couples day magical. Memories last a life time so why not make your day magical? 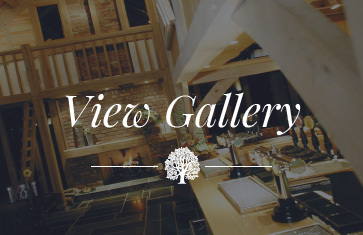 The Oak Tree of Peover is located by the stunning greenery of Cheshire and the surrounding Knutsford area. The 165-acre estate in the heart of Cheshire is one of the most stunning barn wedding venues in the North West. With breath taking views of the natural green countryside, allow your photographer to capture this picturesque image with ample backdrops to inspire those all-important pictures. Spectacular images, to last a life time. Discover this hidden gem within the heart of the Cheshire Countryside, and the surround Knutsford area. We aim to make your day special, our Acorn lounge is licensed for civil ceremonies, where our friendly and supportive team will go that extra mile to ensure you have the most perfect day. 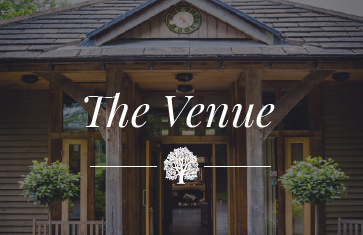 Our stunning wedding barn venue provides you with the perfect setting for your first dance, words cannot describe the beauty of rural Cheshire and the surrounding Knutsford area. On 25th January we attended the wedding of our son Marcus and his beautiful bride Sophie. The club house looked outstanding and welcoming. The guests were heard to say it was awesome. The wedding organiser & bar staff were efficient and friendly. The setting and people at The Oak Tree of Peover helped to make the day very special. Many thanks to all the team helping to make our wedding day so special, the venue was perfect and you all did everything possible to make the day a success. All of our guests loved the Oak Tree and cannot praise the venue enough, all commented how stunning the room looked for the ceremony, the meal and the party.Many thanks and good luck for the busy wedding season ahead. We got married at The Oak Tree of Peover on the 19th March 2015 and the day was everything we dreamt it would be. We had our service, wedding breakfast and evening reception here and the day flowed perfectly thanks to the hard work, efficiency and professionalism of all the staff. Everything was just the way we’d planned it to be, the room was quickly changed around and the venue dressed to perfection. From the moment we saw The Oak Tree it took our breath away and we knew it was our perfect venue. The building and the grounds are stunning and made a wonderful setting for our wedding day. Lucy and Tracy were great throughout the planning stages and both were available on the day making sure everything ran smoothly. We have had many comments from our wedding guests saying how lovely the venue, the staff and the whole day was and we couldn’t agree more! I’m sure we’ll be back to visit in the future. Myself and my wife Tanya got married at The Oak Tree in February 2015. We had the most fantastic of days. The staff at the Venue were excellent and throughout the entire planning process both Lucy and Tracy have been a pleasure to deal with.The Venue itself looked fantastic, throughout the entire day our guests were telling us what a great venue we had picked. Thank you to everyone at The Oak Tree of Peover for ensuring myself, my wife and all our guests had a fantastic day.